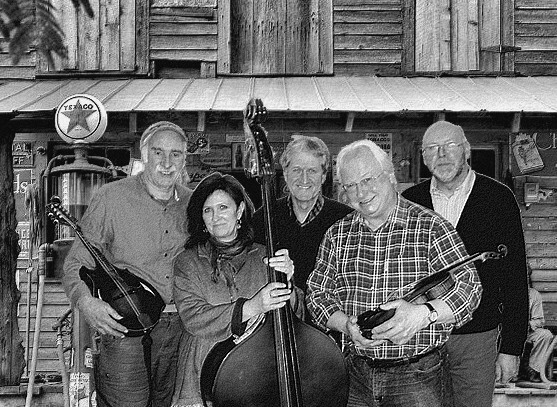 The Bow-Legged Skeeter are a 5 piece band playing hard driving Bluegrass and American Old-Time music with an emphasis on strong vocal harmonies. Our influences span American Old-Time and Original & Modern Bluegrass and stretch typically from the Stanley Brothers, Bill Monroe, Flatt & Scruggs to Alison Krauss, Dan Tyminski, Mountain Heart, Blue Highway and the Steeldrivers, with a bit of Gospel thrown in for good measure. Contact Peter Minkey on 01425 489376 or Email peter.minkey@yahoo.co.uk for all Band enquiries. Mick Franks: Five string Banjo. 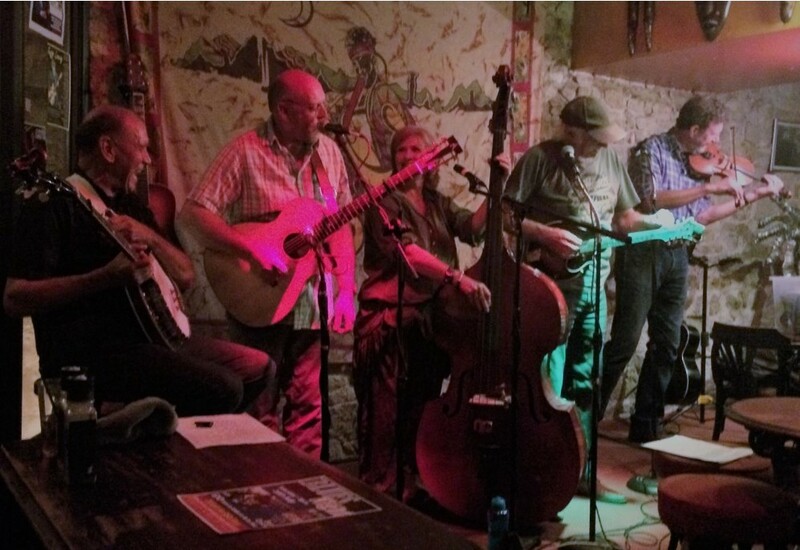 Mick is a left handed Banjo player who has recently joined us. He is a very experienced musician who plays a Gibson Mastertone Banjo. Lindsey Cole: Double Bass and Vocals Lindsey is Charlie’s sister and has been singing and. playing the Bass for four years. She is also a professional Artist. Richard Filleul: Guitar and Vocals Richard is an experienced Bluegrass Guitarist and Singer who has also played with the Bluegrass band ‘Steamboat’. Pete Minkey: Mandolin and Vocals Pete is an experienced gigging musician who has played and recorded in other genres including Rock, Celtic and Jazz. Tim Hextall: Fiddle. Tim is an experienced Old-Time Fiddler who is now adding Bluegrass to his Bow. A very welcome addition who gives us the extra dimension of the Old-Time tradition.